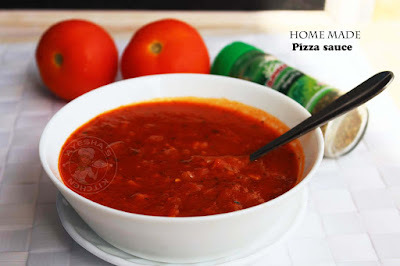 Making of pizza sauce at home is quite simple. So, no more use of store bought pizza sauce. This sweet slightly spicy sauce is great on pizza and pasta. No matter, you can also use this sauce as a dipping sauce. 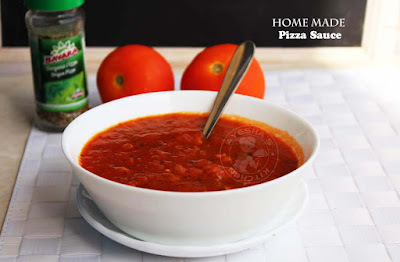 Here am going to share the recipe of pizza sauce using fresh tomatoes. While blogging, I found many fine recipes for pizza sauce that calls for canned tomatoes. But I prefer using fresh tomatoes to make my pizza sauce. This is the first time am making pizza sauce at home. Pizza, my daughters favorite. She asks for pizza whenever we are out. I used to make bread pizza, vegetable pizza, chicken pizza especially for her on weekends or more often for snacking. Kids love pizza and pasta for a day in or day out. So why can't we make our kids favorite food at home? Try making this easy and delectable pizza sauce at home for the base for various pizza recipes like chicken pizza, vegetable pizza, paneer pizza, bread pizza like so. Thanks to Hebbars kitchen for this awesome recipe. So let us see how to make pizza sauce at home. Here is the recipe showing how to make pizza sauce / homemade pizza sauce. Boil some water in a vessel. Add tomatoes ( make an X slit at the bottom) to the boiling water. Close the vessel and let it boil for 5 minutes. When the skin starts to leave from tomatoes, transfer it from water to a plate. Once slightly cooled, peel the skin. Add 3 tomatoes into a blender and blend until a smooth puree. Set aside. And chop the other two tomatoes discarding its seed. Set aside. Heat oil in a non-stick wok. Add chopped garlic, saute well over a low flame (do not burn it). When done, add chopped onion and saute until slightly golden. Then add chopped deseeded tomatoes and cook until mushy. To this, add prepared tomato puree (3 cooked tomatoes) and mix well. Now add salt, oregano, chili flakes, kashmiri chili powder, sugar, dried basil and mix very well. Let it boil well and then add tomato sauce, butter (at room temperature). Allow it to simmer for 5 to 8 minutes. Remove from flame. 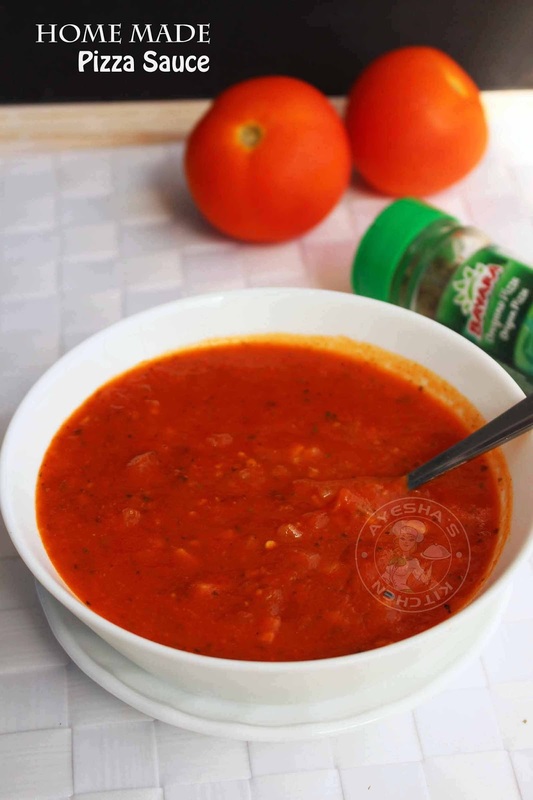 Yummy flavorful pizza sauce is ready to use.